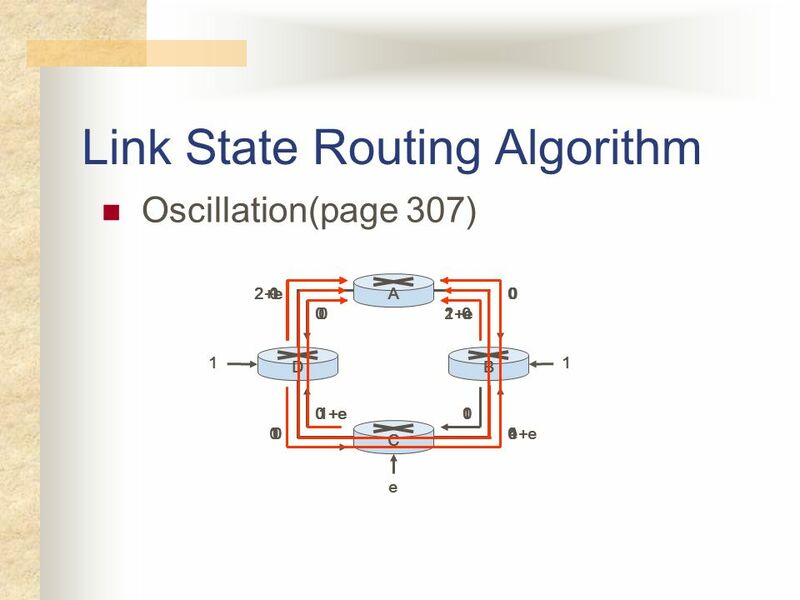 Download ppt "Contents Routing Protocol and Algorithm Classifications"
© 2007 Cisco Systems, Inc. All rights reserved.ICND2 v1.0—3-1 Medium-Sized Routed Network Construction Reviewing Routing Operations. 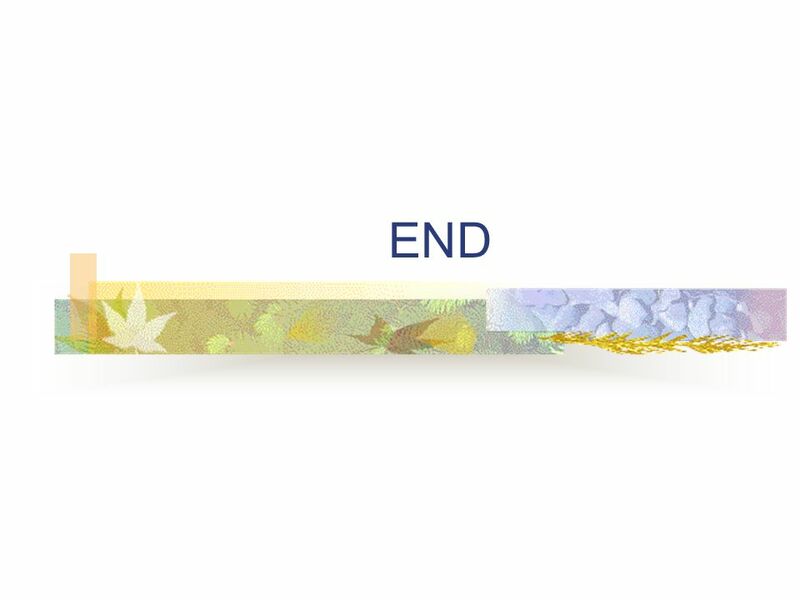 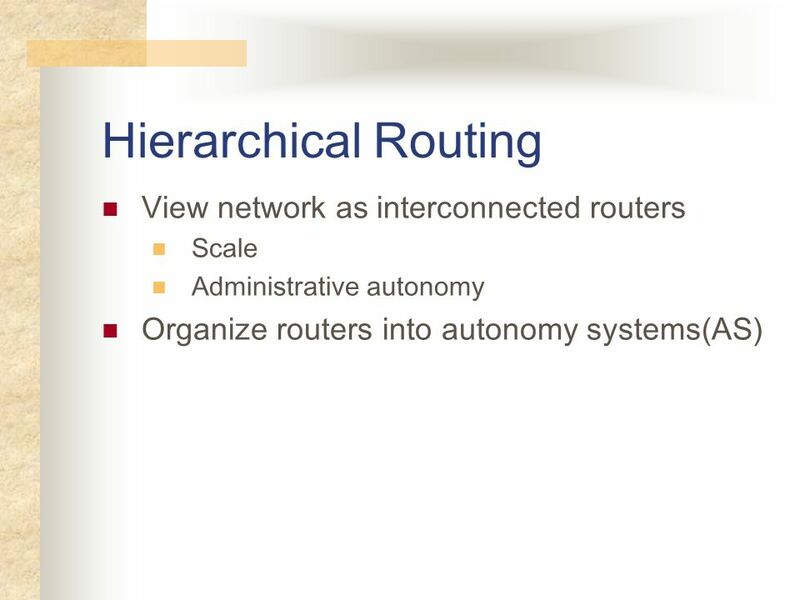 What is “Routing”? 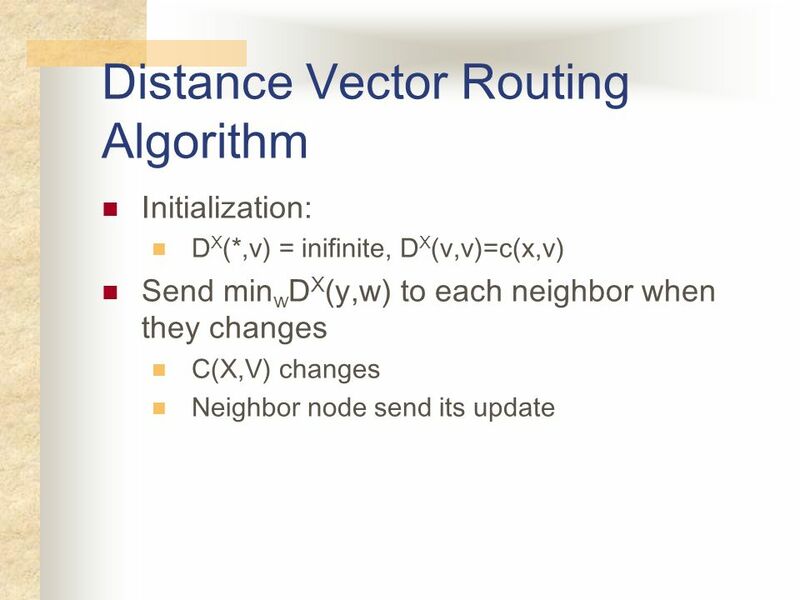 Routing algorithm that part of the network layer responsible for deciding on which output line to transmit an incoming packet Adaptive. 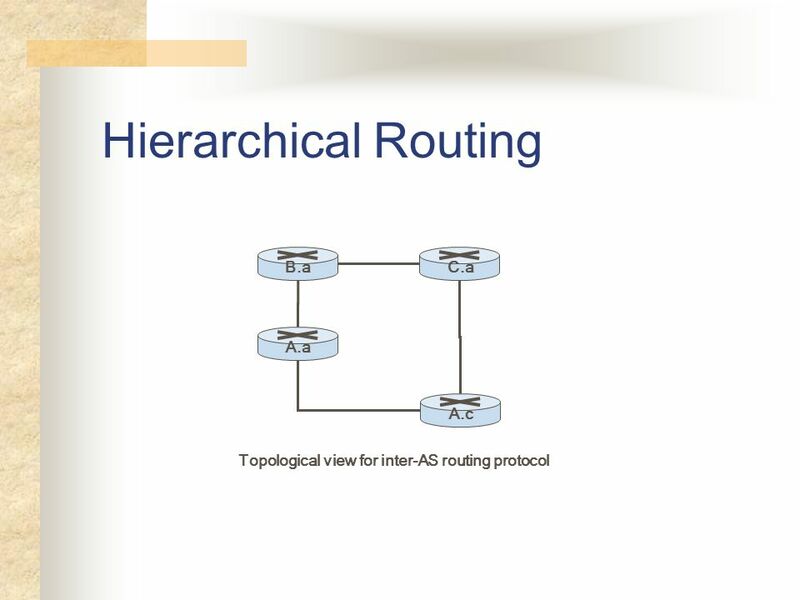 13 –Routing Protocols Network Layer4-1. 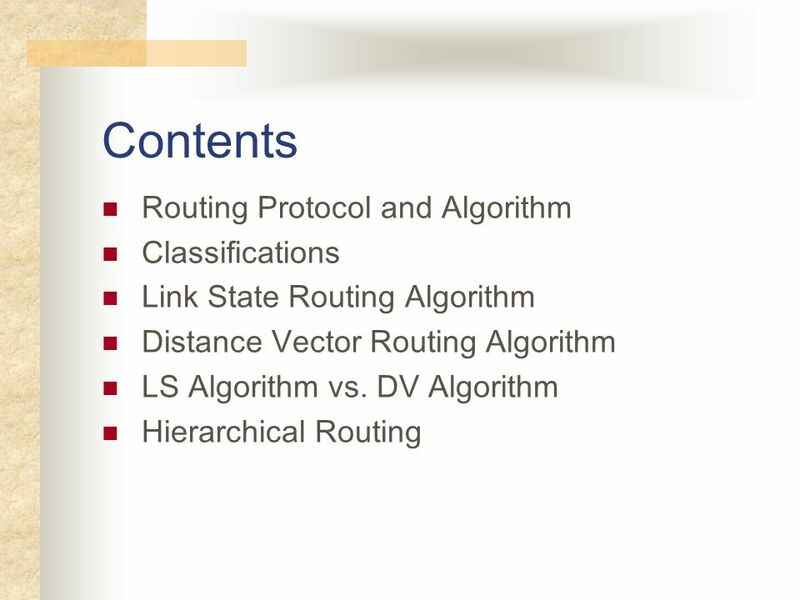 Network Layer4-2 Chapter 4 Network Layer Computer Networking: A Top Down Approach Featuring the Internet, 3 rd. 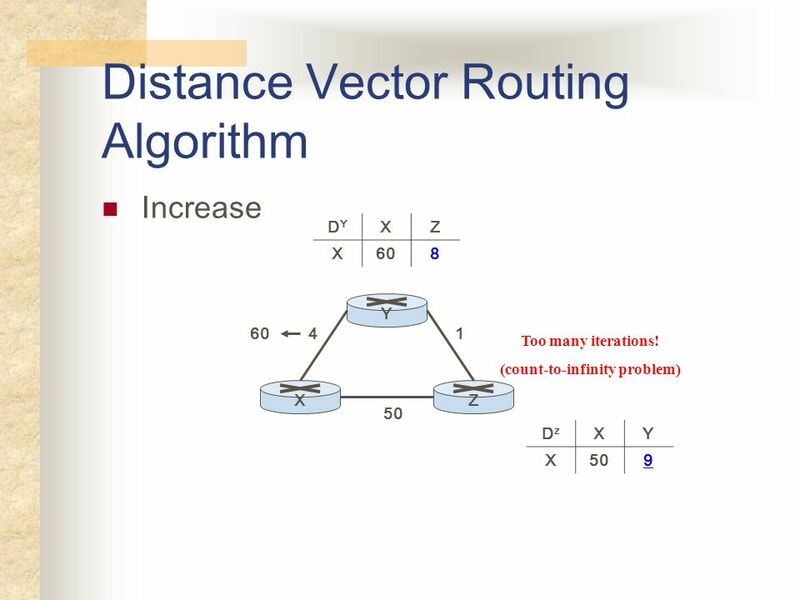 Data Communication and Networks Lecture 11 Internet Routing Algorithms and Protocols December 5, 2002 Joseph Conron Computer Science Department New York. 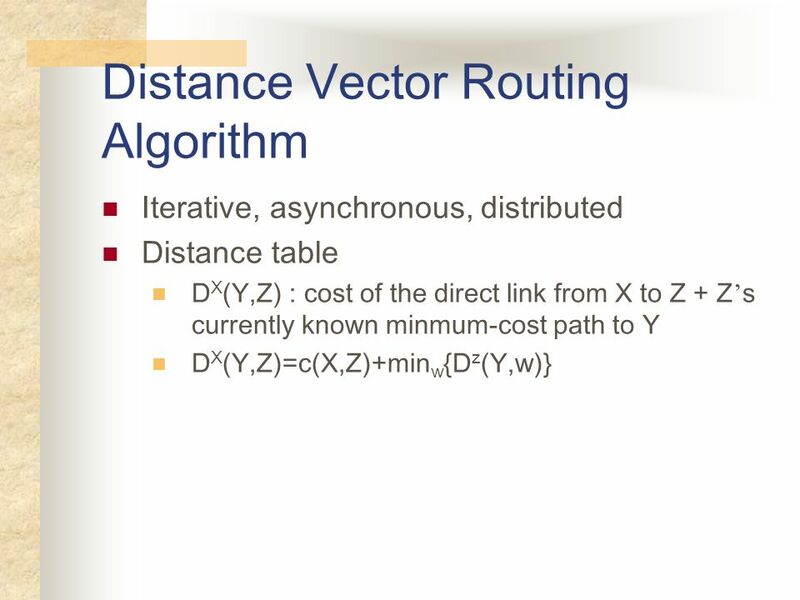 Routing - I Important concepts: link state based routing, distance vector based routing. Network Layer-11 CSE401N: Computer Networks Lecture-9 Network Layer & Routing. 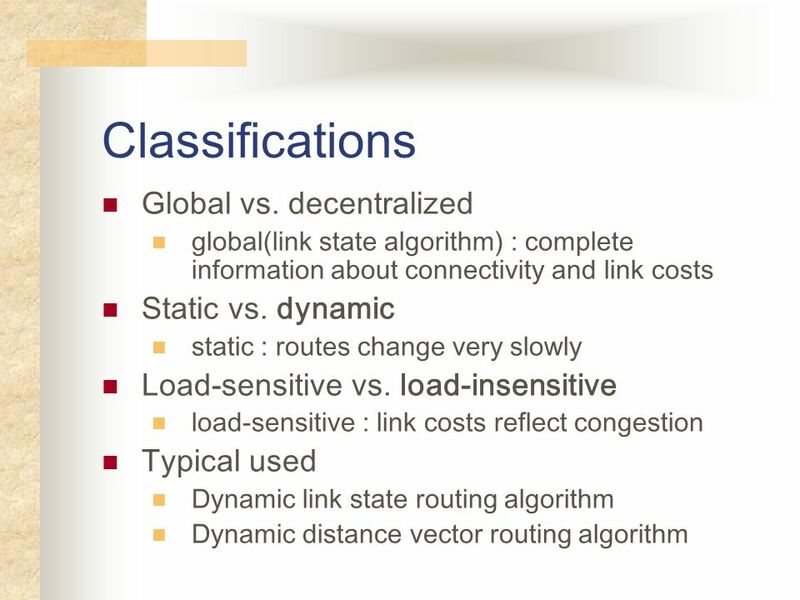 CIS 235: Networks Fall, 2007 Western State College Computer Networks Fall, 2007 Prof Peterson. 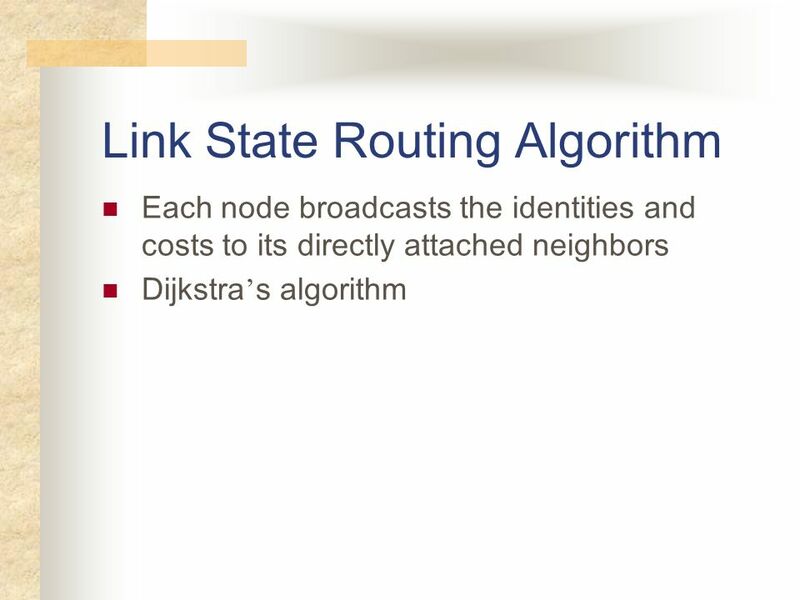 Introduction to Networking Bin Lin TA March 3 rd, 2005 Recital 6. Network Layer4-1 Chapter 4: Network Layer Chapter goals: r understand principles behind network layer services: m routing (path selection) m dealing with. 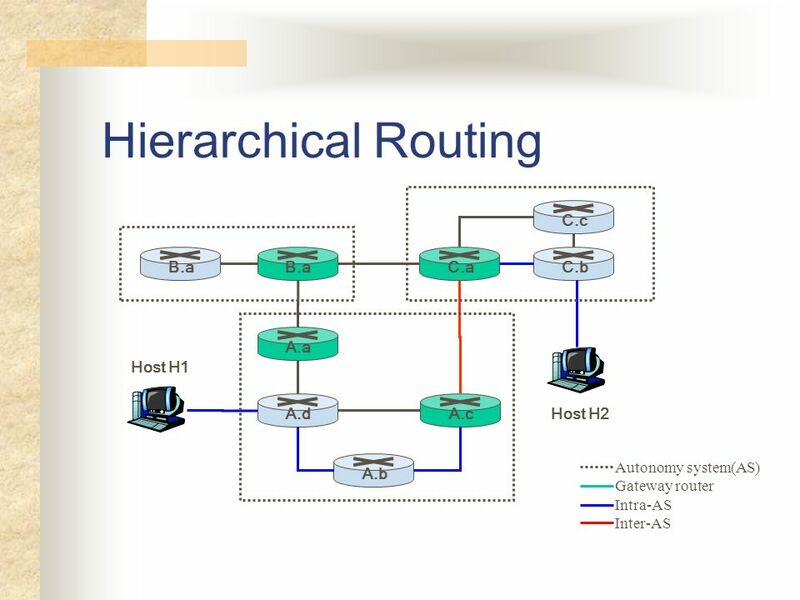 Network Layer Design Isues Store-and-Forward Packet Switching Services Provided to the Transport Layer The service should be independent of the router. 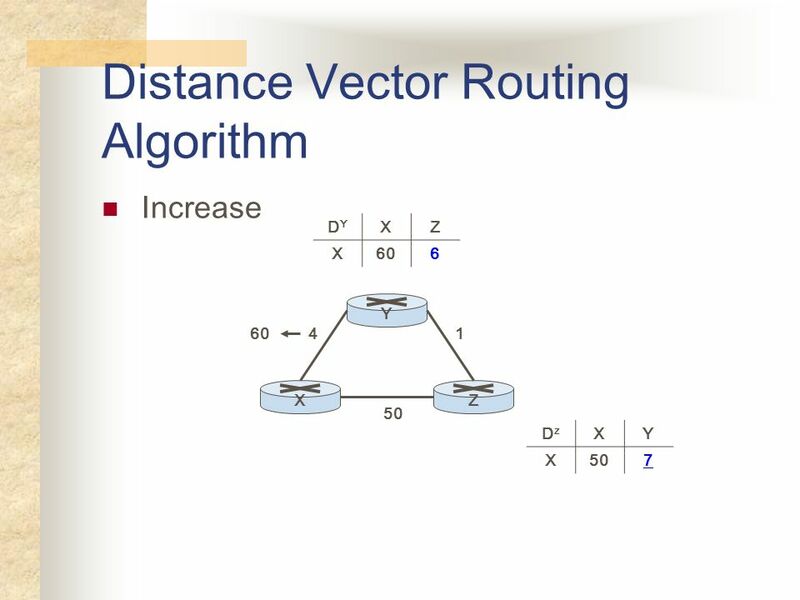 Katz, Stoica F04 EECS 122: Introduction to Computer Networks Link State and Distance Vector Routing Computer Science Division Department of Electrical. 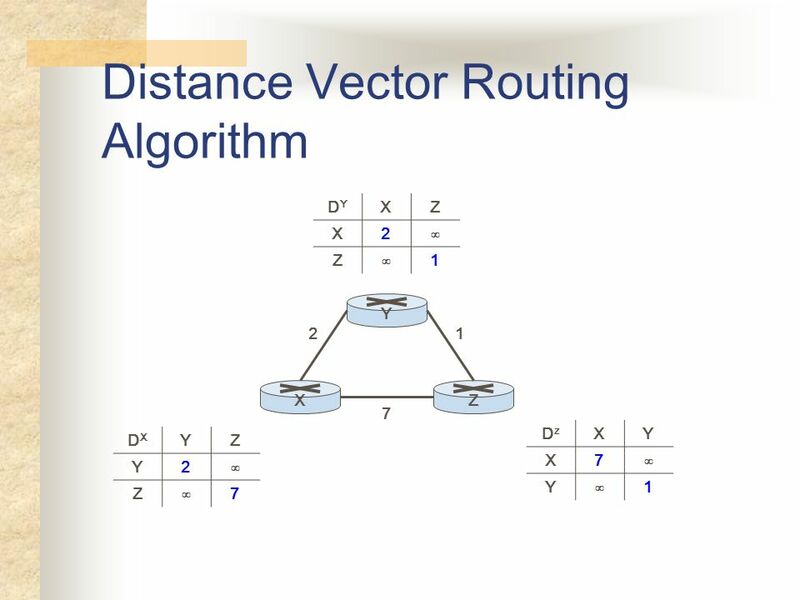 4-1 Network layer r transport segment from sending to receiving host r on sending side encapsulates segments into datagrams r on rcving side, delivers. 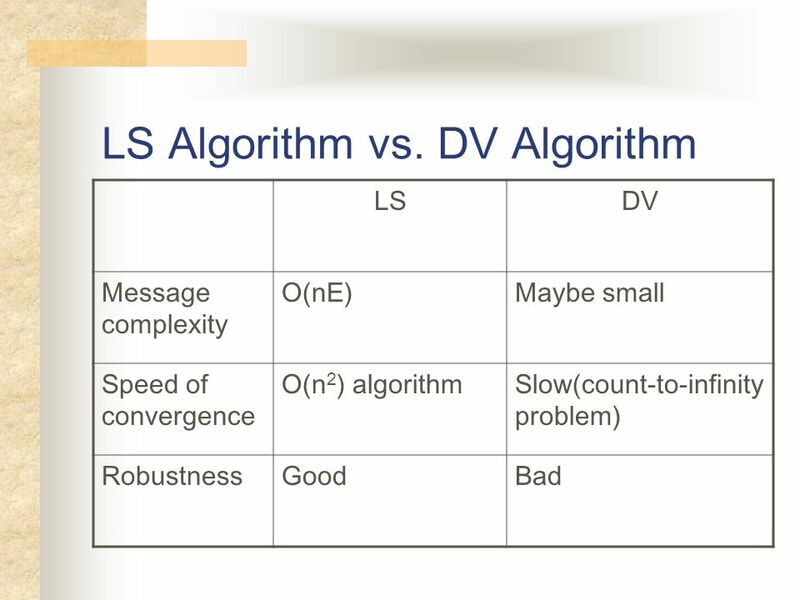 CSE 461: Distance Vector Routing. Next Topic  Focus  How do we calculate routes for packets? 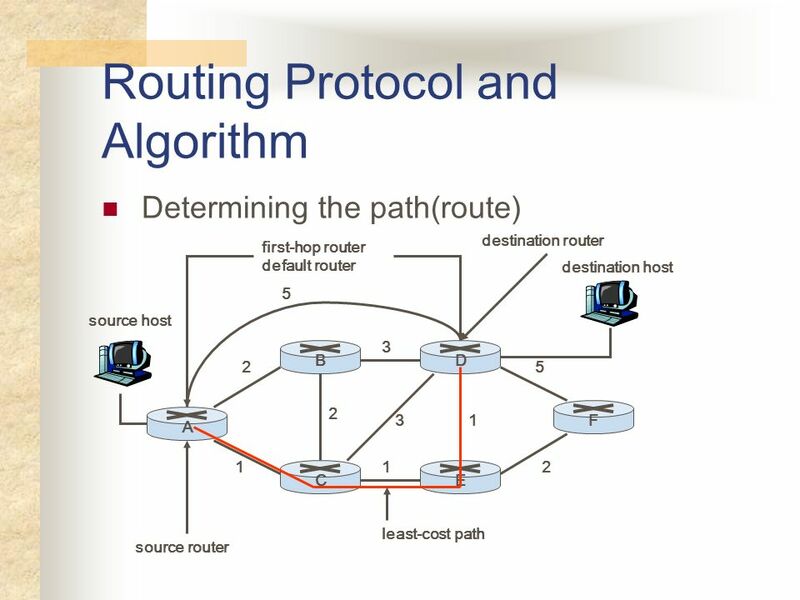  Routing is a network layer function  Routing Algorithms.